ThaiePay team has been working very hard to brain storm and collect customers’ comments and suggests about shopping mall service in order to build our own shopping mall which meets their needs best. We not only erased the weak points of previous shopping mall system but also add more strong features. We believe that “our E-Commerce system is as good as one should be”. 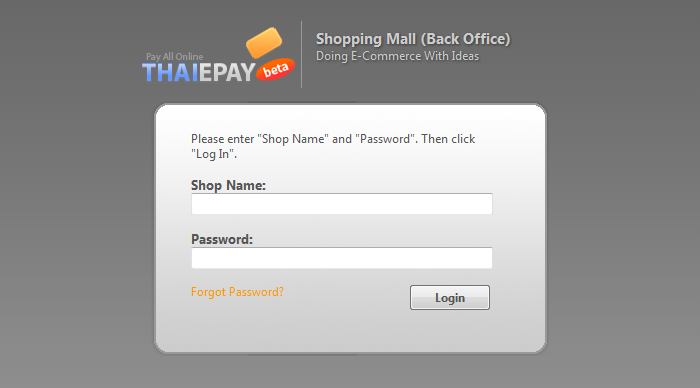 Here are the concepts of Shopping Mall by ThaiePay system. 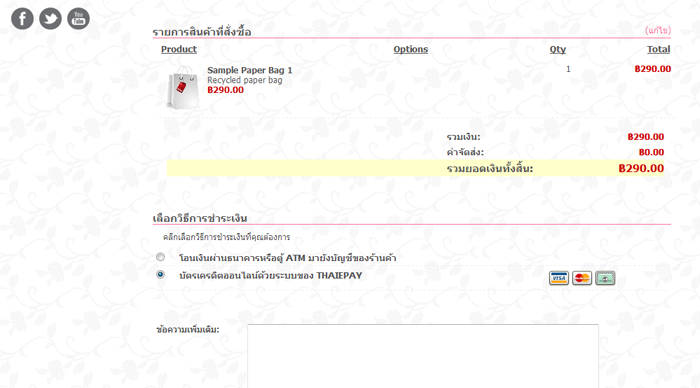 Reliable and Authentic ThaiePay always screens shops and products they sell according to our reasonable criterias. That is to say, we accept only reliable shops selling authentic products. All of our member shops must be approved by us in order that buyers can feel secure enough to buy products from our shopping mall. 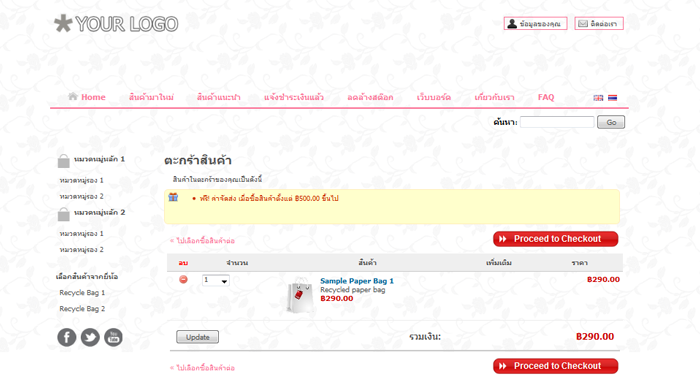 And we also have rating system for checking status of each shop and product. 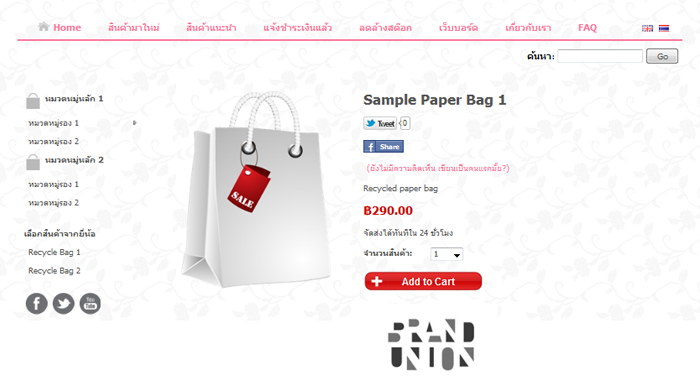 Professional system and User friendly Shopping Mall by ThaiePay has been created by using new technology. The system itself professionally works together with many special functions and user friendly in order to facilitate seller to create own style shop and sell products online. Just click, click, and click, following step by step, you can have an excellent online shop easily. 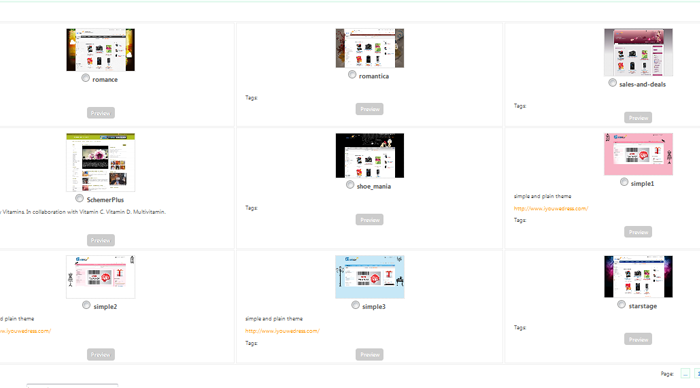 Various options to promote your products We also add more options for sellers to promote their products on our shopping mall main page. Not only displaying your products but we also provide Recommended Products and Buyer Reviews to encourage your sales volumes among buyers. A lot of cool themes and skins, professional look. SEO friendly and applicable for all browsers. 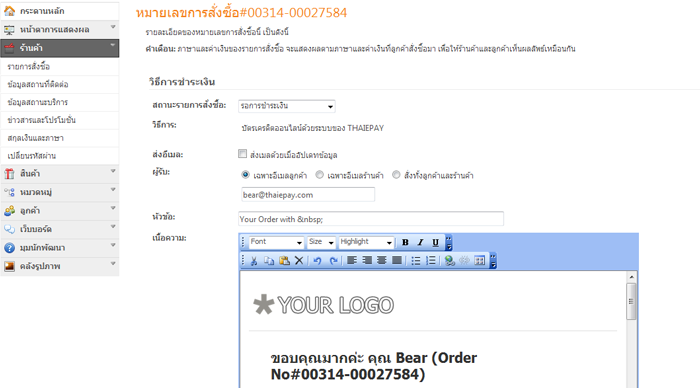 Activate online payment system easily such as ThaiePay, Paypal or more. 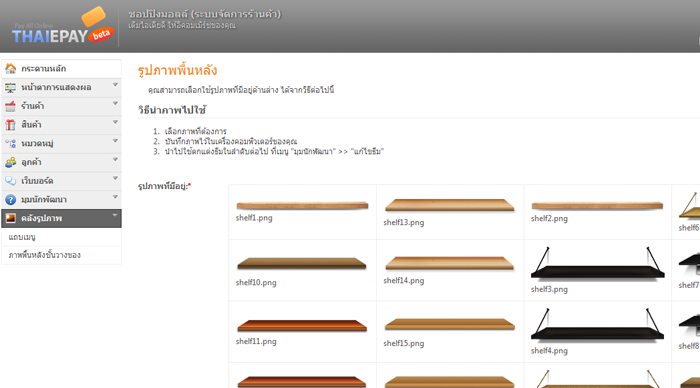 Support various shipping process such as TNT, UPS and Thailand Post. Shipping fee has been set and ready to use. Brand system makes buyers easily find products they want. Multi-Currency, seller can enable currency and set exchange rate. Create unlimited content pages and blogs. Arrange Best Seller ranking by yourself for each product catergory or auto-ranking by orders. 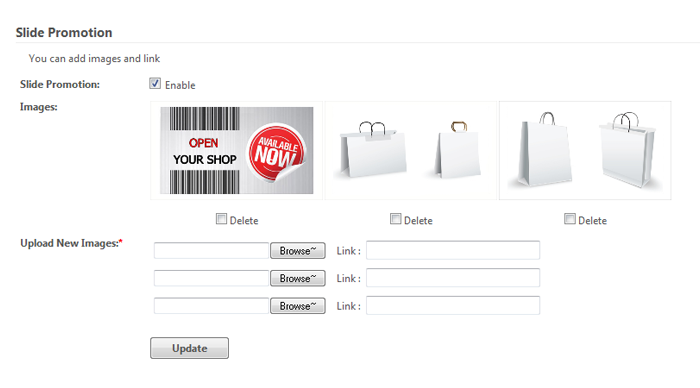 You must begin by adjusting theme for your online shop, add more pictures and products through Shop Admin System. Until your online shop is complete and ready to open. After they click “Add to Cart”, system will lead the customers to make online registration and fill some personal information. If order is confirmed, system will lead the customers to make payment by method you've offered such as bank transfer or credit card online payment. *if you use payment system by PayPal, fee will be applied according to PayPal's policy too. 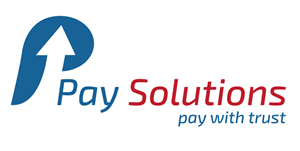 ThaiePay has additional regulations regarding income remittance. That is to say, you can request us to have more frequent remittance such as every 15 days or weekly.